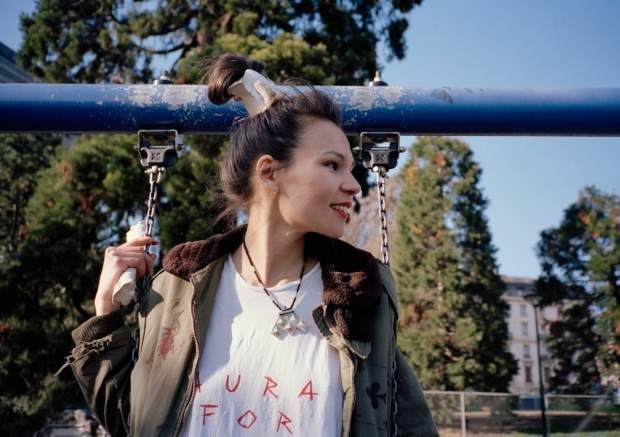 Formerly known as Kate Wax, Aïsha Devi opted for her birth name in leiu of Ms. Wax for her debut, Aura 4 Everyone EP. Once you hear the EP for yourself the dropping of a stylish moniker to be truer to her birthright makes sense. Aura 4 Everyone seeks haven in a deep web of ancestral techno. Raised in a Berberian family with Tibetan origins, Aïsha Devi's music arcs towards a spirituality often discarded in modern dance. It's not tribal, but it does rekindle the essence of why we first danced as a species. On “Popular Science” she is in a deeply meditative state of incantations. Much like The Knife, there's a presence of indigenous tongue processed through machines, which she offsets with her croon from beyond the void. She's an apirition throughout “Popular Science”, like a spirit guide one meets in after seeking enlightenment beyond a Herman Hesse novel. While Aura 4 Everyone might be a trite title of modern comp-slang, when it comes from a guide named Aïsha Devi we're more trusting to the future of plentiful auras than if Kate Wax showed up with glow sticks and an invitation. Aïsha Devi's Aura 4 Everyone EP is out June 3 on Danse Noire.